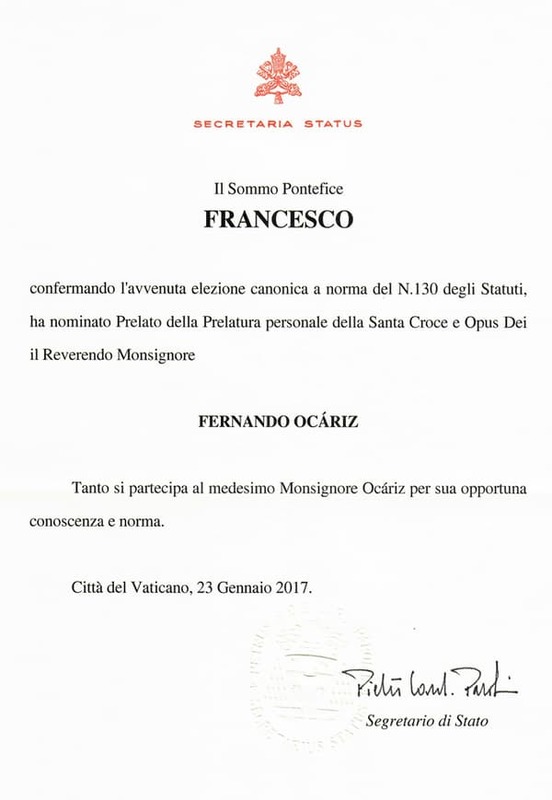 Reproduced here is the official communication of the appointment, signed by the Cardinal Secretary of State, Pietro Parolin. Romana, No. 64, January-June 2017, p. 14.